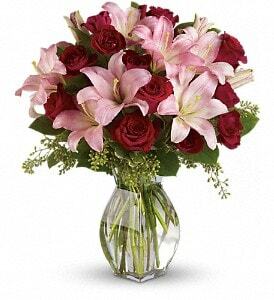 Wildflower Florist & Cypress Floral delivers flowers to Tomball, Texas every day. We also deliver to all Tomball hospitals, churches and funeral homes. Tomball, Texas, is located in Harris County. It is home to a small airport and is the sister city of Telgte, Germany. The local high school often hosts exchange students from Germany and other countries. The Tomball area was founded in the early 1800s when immigrants found open, fertile land that was perfect for farming and raising cattle. However, it was not until 1906 that the area began to boom. Railroad line engineers noticed that Tomball was situated in an area that made it an ideal location for a train stop. At first, people called the area Peck, after a chief civil engineer of the railroad line. However, in 1907, the town was officially named Tom Ball, later to be shortened to one word, after local gongressman Thomas Ball. Tomball was flooded with over two dozen oil companies when the residents struck oil in 1933. Tomball continued to grow over the years and hit its second major boom after World War II. In Tomball, people could escape some of the disagreeable qualities of the city but still enjoy the closeness of jobs, culture, and entertainment. In the 1970s, Tomball’s population again soared. Over the next 20 years, Tomball’s population increased from 16,000 to over 85,000 residents. Wildflower Florist has been proudly serving the Tomball, Texas, areas for 30 years. We are committed to offering only the finest floral arrangements and gifts, backed by service that is friendly and prompt. Because all of our customers are important, our professional staff is dedicated to making your experience a pleasant one. That is why we always go the extra mile to make your floral gift perfect. "Let Wildflower Florist be your first choice for flowers."